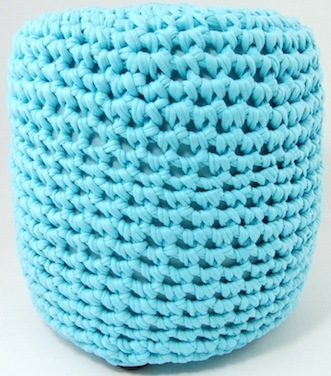 The base for the stool you can find here. 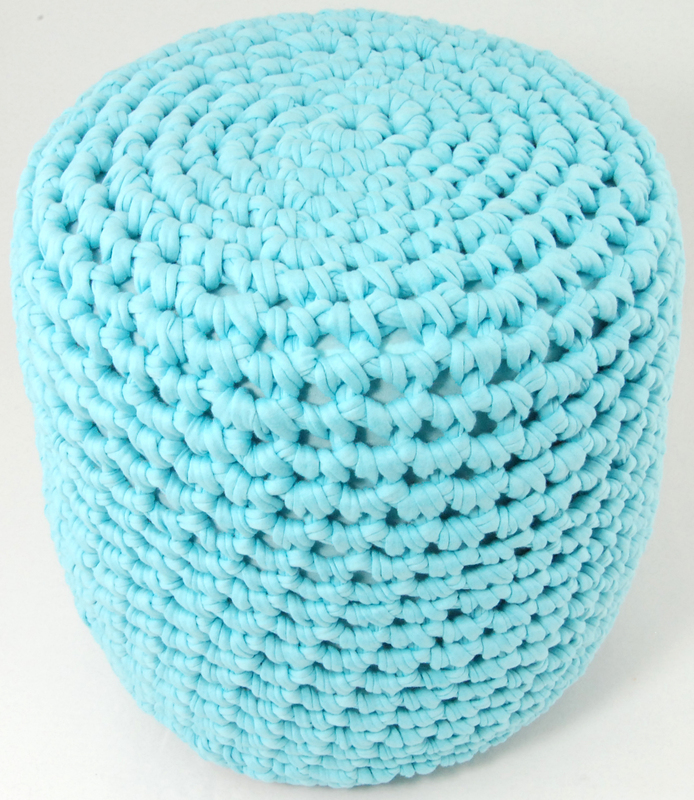 Cover the base with the tricot/stretch fabric and attach it at the bottom from the stool base with the staple gun. 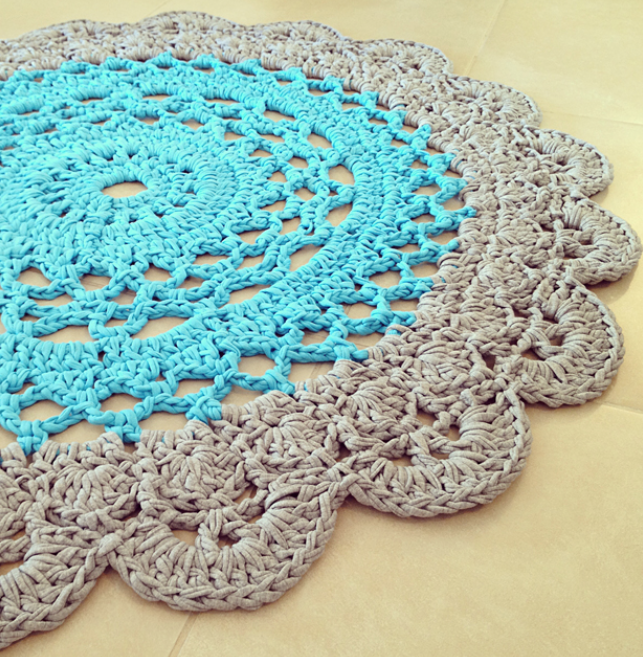 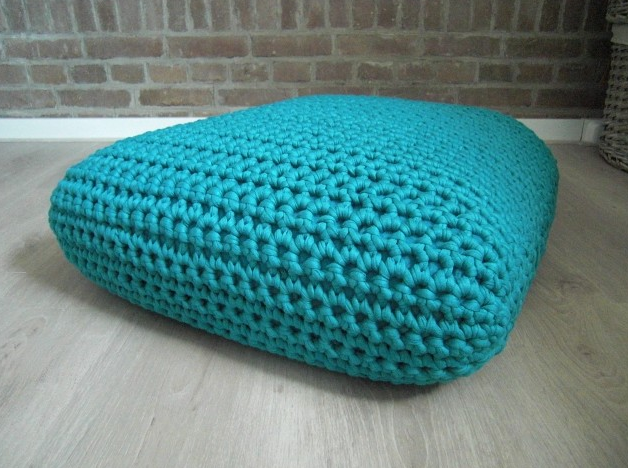 Cover it with your beautiful crochet cover and your stool is finished. 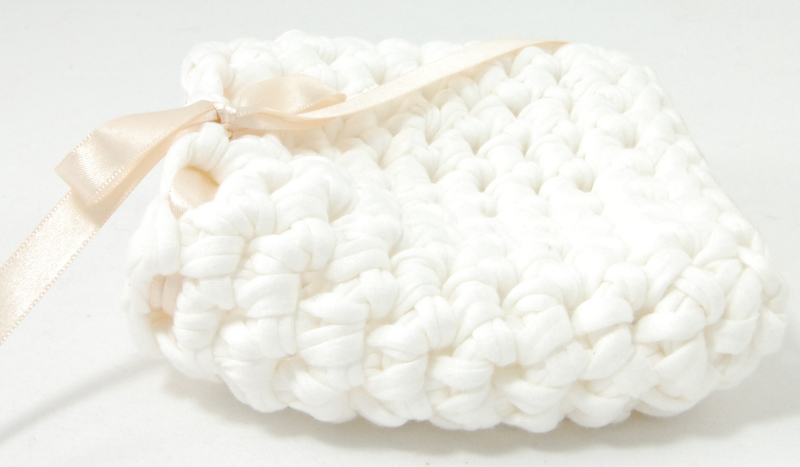 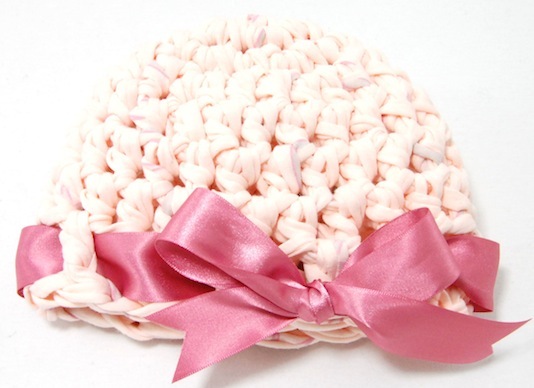 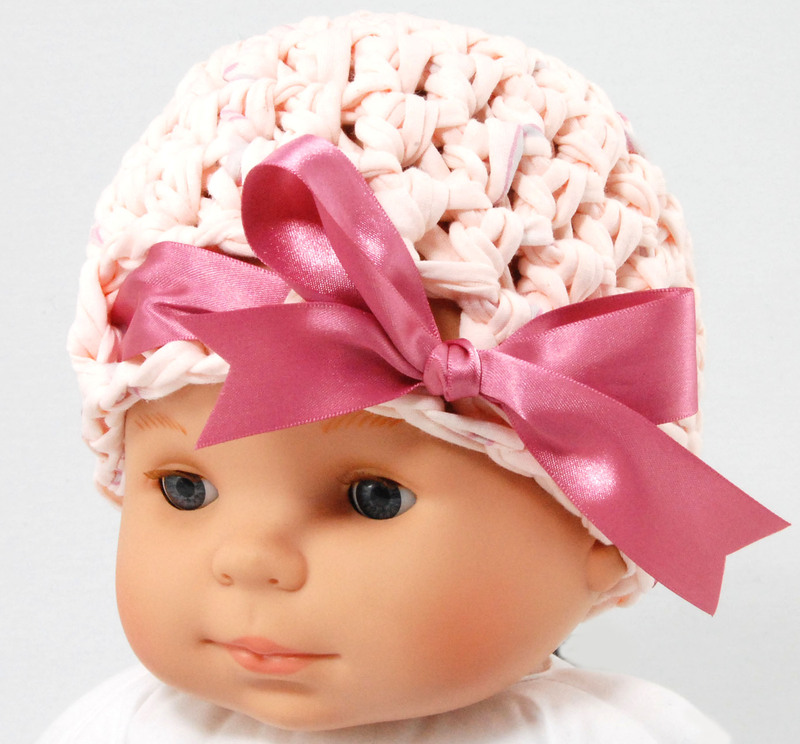 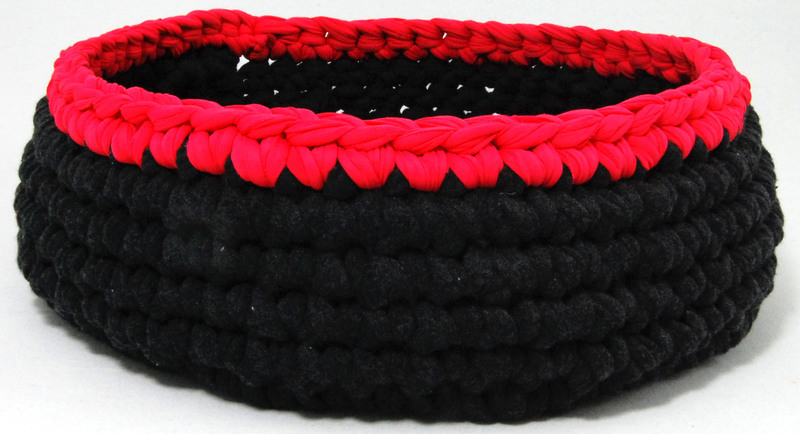 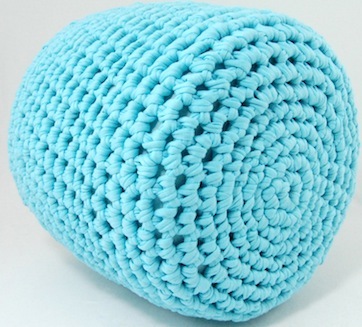 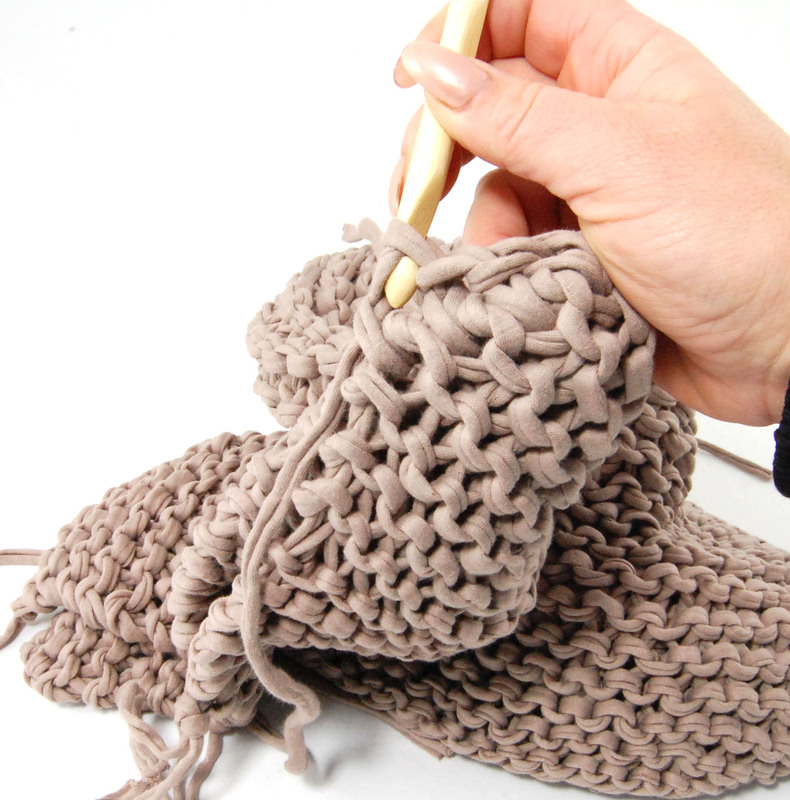 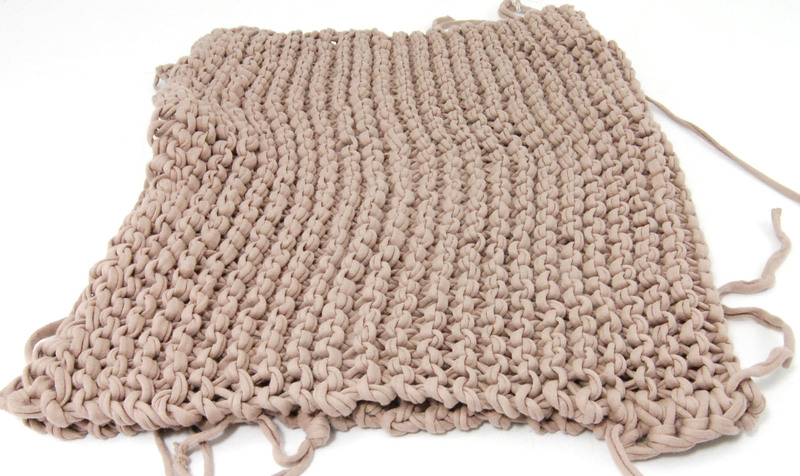 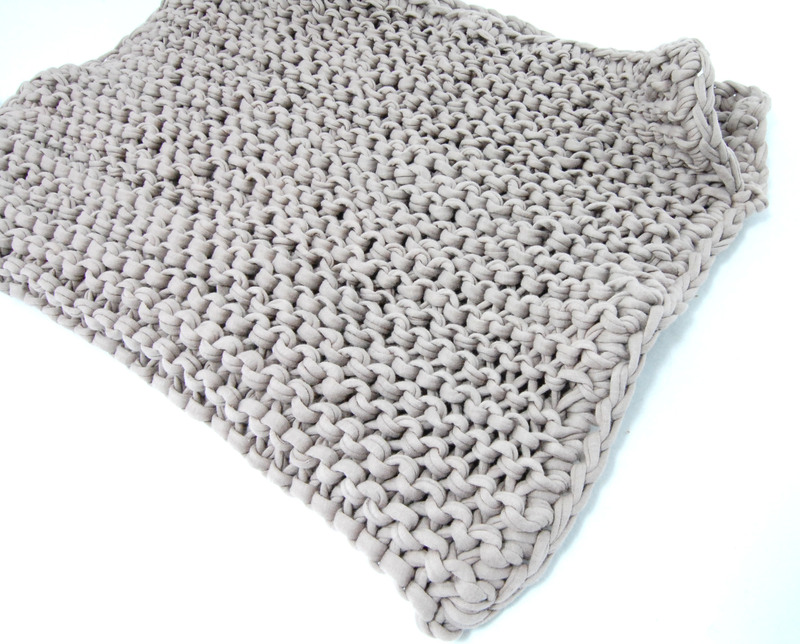 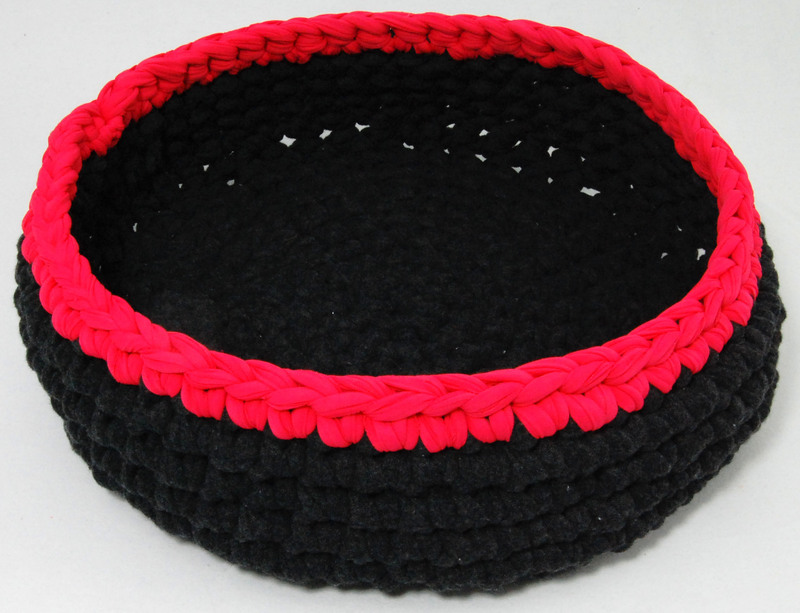 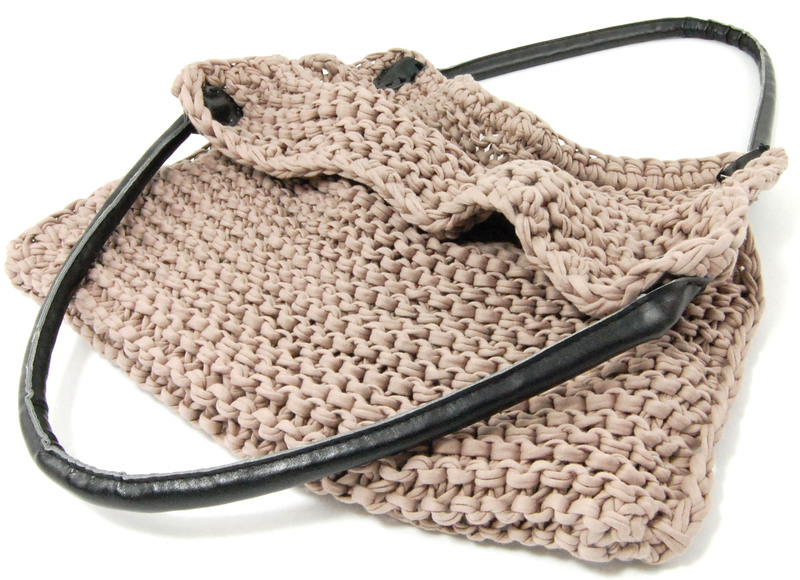 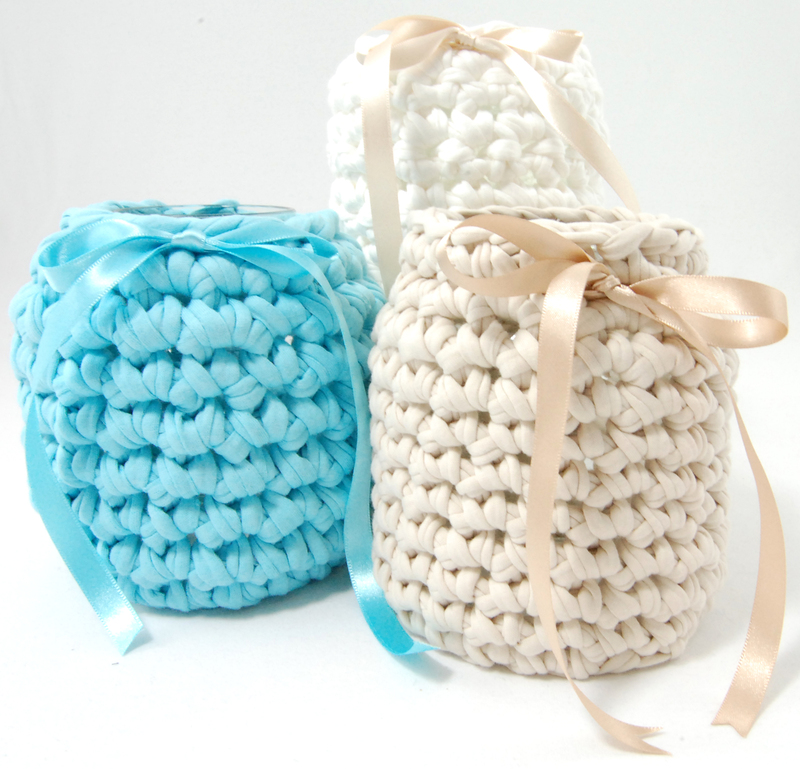 The pouf is made with t-shirt yarn, which you can buy here and you have to crochet this pouf with at least a needle size that’s 10 mm thick, you can buy them here. 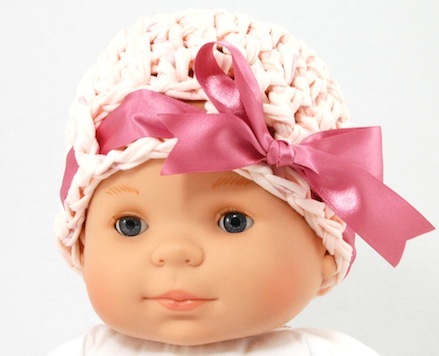 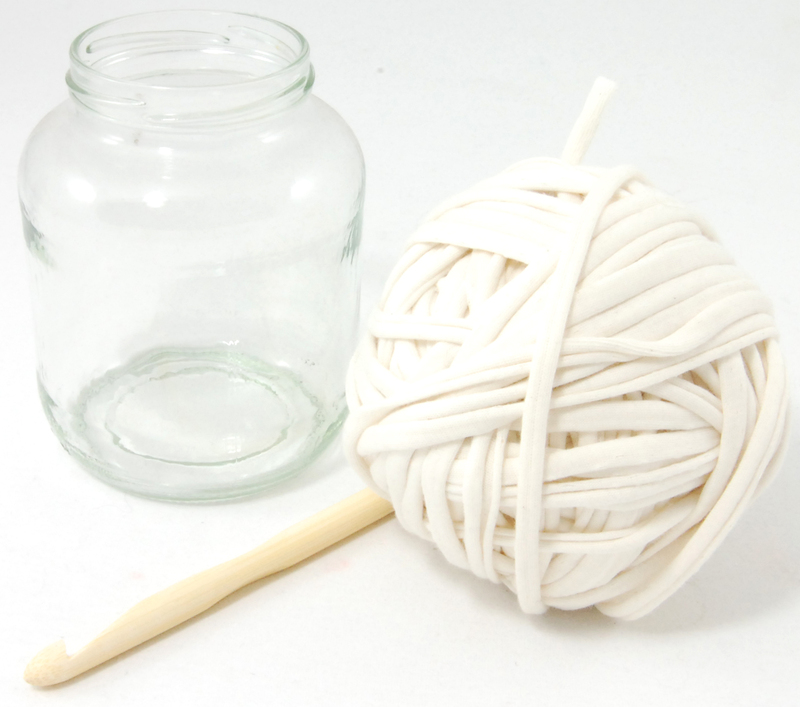 You can use a thicker needle but make sure your yarn matches the needle size. 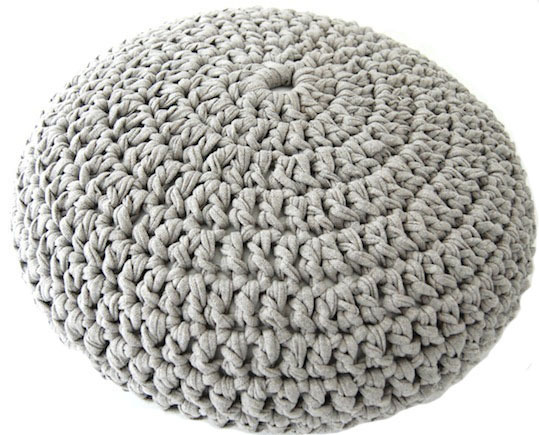 Thicker yarn and needle will only make the pouf bigger. 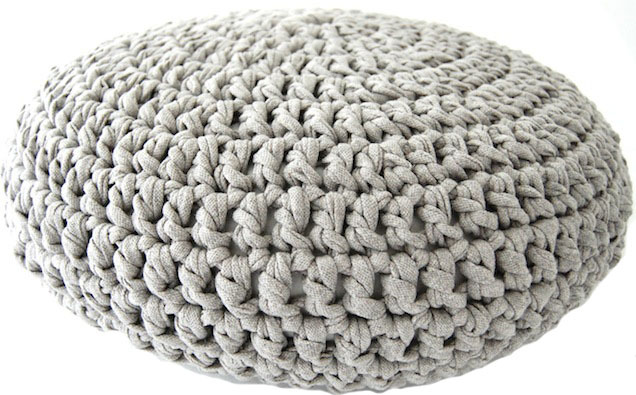 Sew with an overhand stitch the bottom to the pouf and ready!!!! 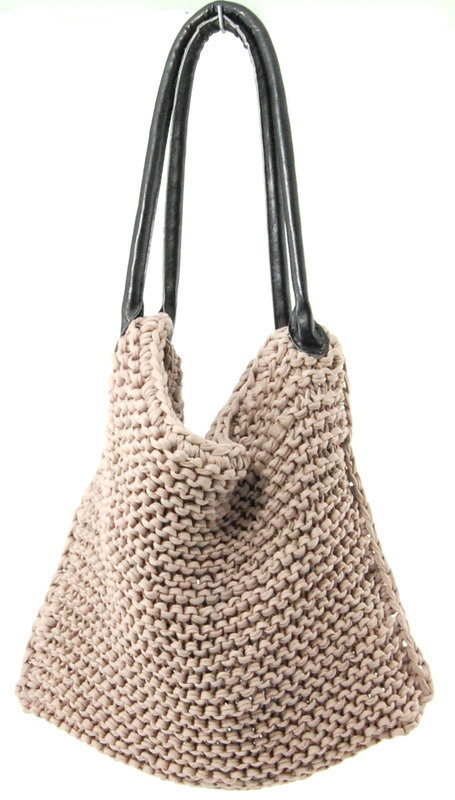 To make this bag I used 1 skein The shirt Yarn (about 800 gram) which you can buy here, a pair of bag handles which you can buy here a pair of knitting needles nr 17 and a 10mm thick crochet hook. 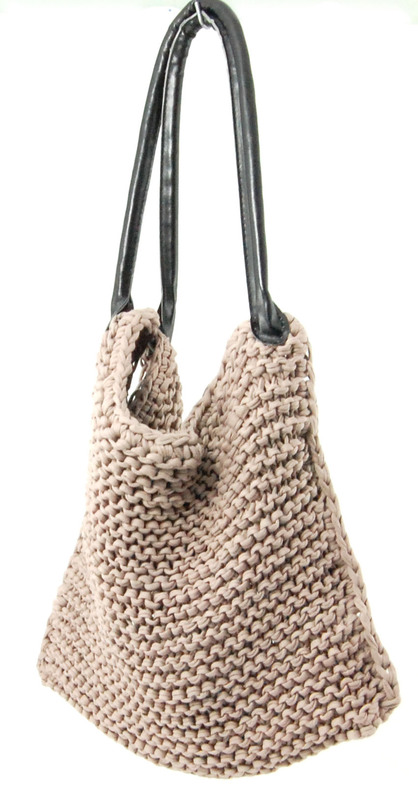 The only thing you have to do now is, putting the bag handles on your bag. 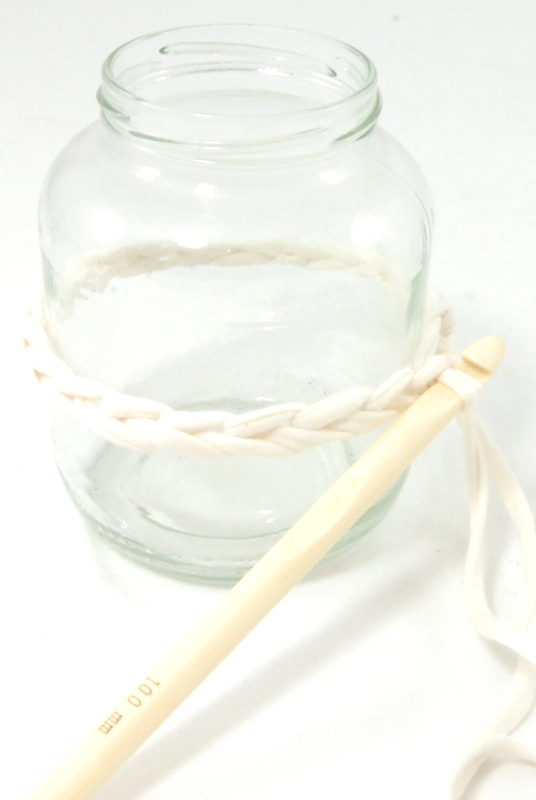 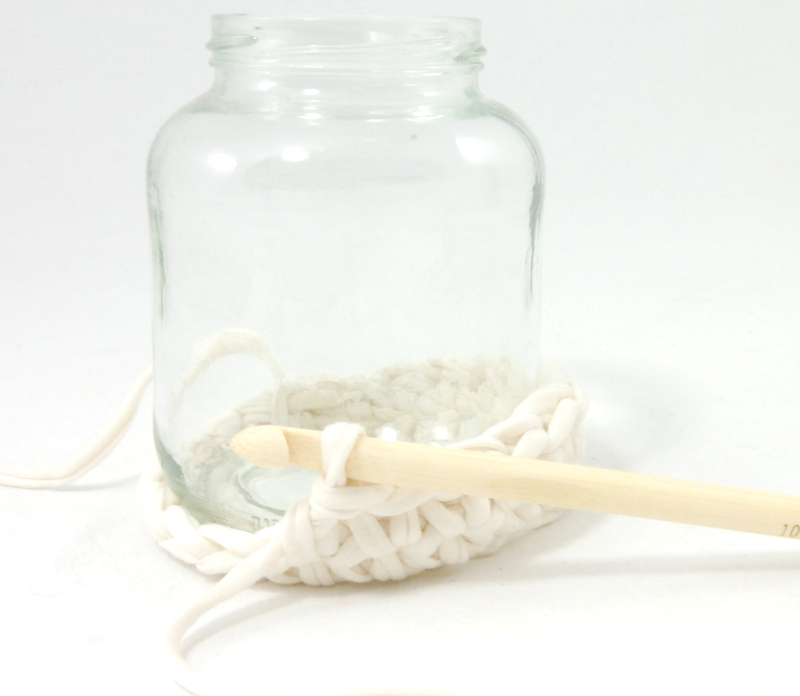 For this jar I used about 120 gram t-shirt yarn which you can buy here, a jar, a 10mm crochet needle and a piece of 10mm satin ribbon 30 inch long. 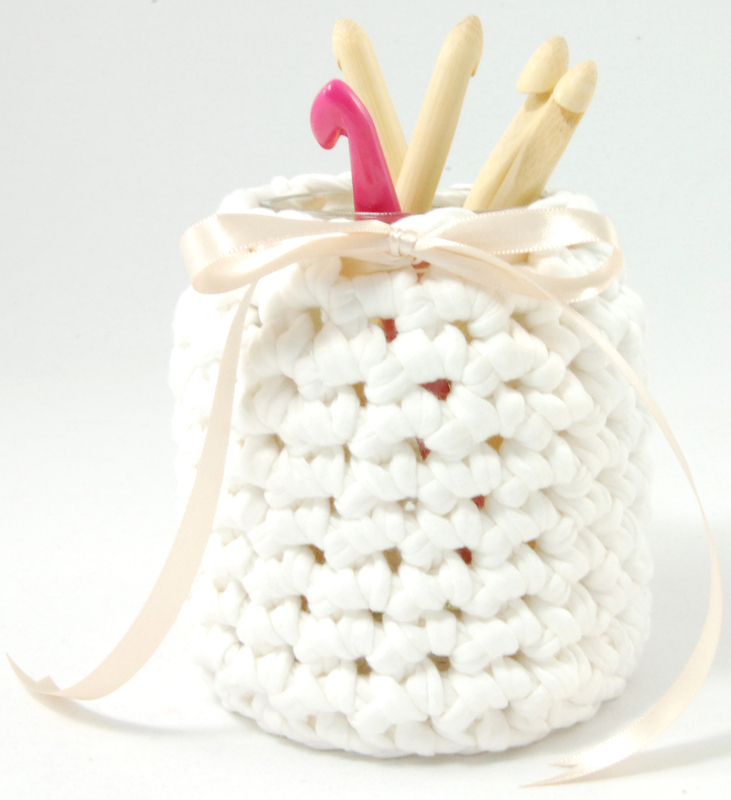 Than work in single crochet and work till your work is as high as your jar and finish your work. 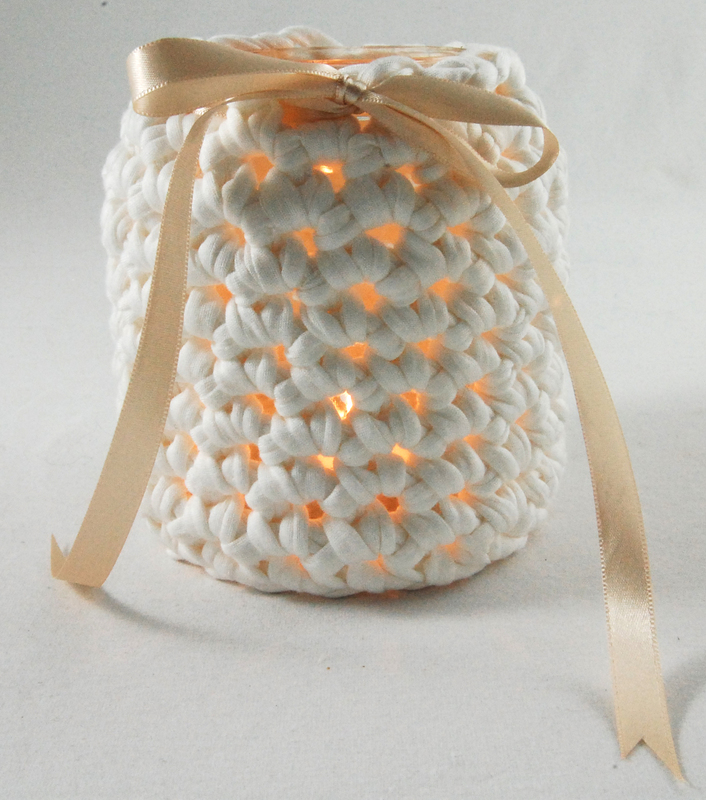 or you can put candle in it!